Happy Holidays! 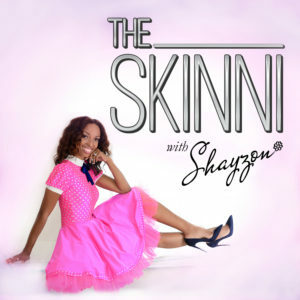 In this episode of “The SKINNI,” Style and Beauty Expert, Host, and TV Personality Shayzon shares incredible last minute gifts and styling tips for the holidays. Ever wondered what to get for the host of this weekend’s holiday party? Not sure what’s “in” or right to wear for Christmas dinner with family and friends? Shayzon’s got you covered! Another great show Shayzon! I love all of the gift ideas, especially the slim card for men. Also, all of the gift ideas for women were just simply amazing. Thanks again! Definitely must get the leather catch all for hubby! It sounds great!